NUBIAN NATION is a Greek apparel store in Chicago, IL with a vast selection of Fraternity, Sorority, Mason, and OES goods. Learn more about our custom and Greek items below! When it comes to custom made apparel, NUBIAN NATION GREEK BOUTIQUE is the one to call. We do customized items for individuals, groups and entire chapters. We carry items for Alpha Kappa Alpha, Delta Sigma Theta, Zeta Phi Beta and Sigma Gamma Rho. Check out our Customized Design shop for other Sororities/Groups. We carry items for Alpha Phi Alpha, Kappa Alpha Psi, Omega Psi Phi and Phi Beta Sigma. Check out our Customized Design shop for other Fraternities/Groups. The "original" organizations - Mason and Eastern Star, are supported at Nubian Nation Greek Boutique. Let us be your one-stop-shop! 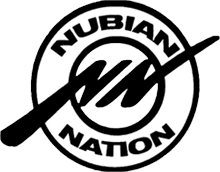 At Nubian Nation we treat you like Family! Show your Black Greek pride with exclusive apparel, Fraternity & Sorority goods, purses, outerwear and paraphernalia from Chicagoland's largest BGLO store. Affectionately known as The Greek Boutique, NUBIAN NATION's main store has been proudly anchored on Chicago's South Side since 1999. This family business is owned and operated by your fellow Greeks, so we understand what you want and know why you need it. Our focus is fashion and we offer products and apparel items far beyond the standard t-shirt or sweatshirt. Your satisfaction is our priority, which is why we make sure you feel like you are part of our big and happy family every time you come to our store. Our friendly and accommodating staff will always treat you with honor and respect! Shop online or visit us today! Don't see what you need? - just ask! Not sure what you want? - we'll design it for you! Tuesday - Friday: 12:00 p.m. - 6:30 p.m.
Saturday: 12:00 p.m. - 6:00 p.m.